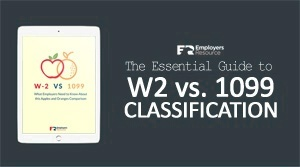 W-4s, I-9s, state withholdings, and other employee forms. Now you can! Employers Resource has created a new hire one-stop-shop, where you can find everything you need to get that new employee signed up and ready to work. Please note, these forms are for current Employers Resource clients only, and without the guidance of working with us, we cannot ensure their accuracy, completeness, or compliance with state and federal laws. If you are not a client and need more information, please read the tips in our article on new hire packets.